Sound insulation is the screening of a room against a noise source. Two types of sound insulation can be distinguished: airborne sound insulation and impact sound insulation. Airborne sound insulation is the insulation against sound that propagates by air (e.g. insulation against traffic noise). Impact sound insulation is the insulation against sound that arises by direct contact of an object on the building element (e.g. the impact of ra in on a glazing). 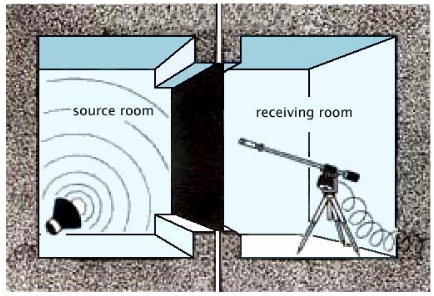 Figure 1 illustrates these types of sound insulation by means of two separated rooms. Figure 2 : measurement of the airborne sound insulation of a building element. 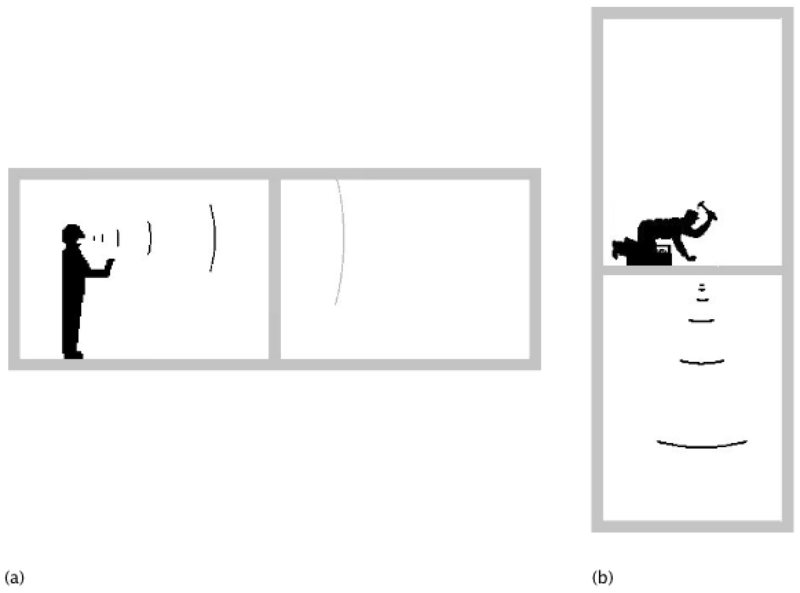 Figure 1 : airborne sound insulation (a) and impact sound insulation (b) between two rooms. Because façades mainly are liable to airborne sound, only airborne sound insulation will be further discussed. The airborne sound insulation of a building element is determined by the difference between the sound level of the room in which a sound source is present (source room in figure 2) and the room that is screened by the building element from the so und source (receiving room in figure 2). Sound insulation depends on the frequency of the sound source. The sound level is expressed in dB and determines the ‘strength’ of the sound source. The sound of a whistling bird (50 dB) is for example stronger than the sound of a falling leaf (10 dB); the key of a piano can be struck hard or soft. Sound can be one single frequency (e.g. musical notes), but is usually made up of a number of frequencies (e.g. traffic noise). A frequency is expressed in Hz and determines the ‘pitch‘ of the sound source. Frequencies can be distinguished into three categories: low tones, mid tones and high tones (figure 3). The frequency range of urban road traffic is concentrated around the low tones whereas a singing teakettle rather consists of high tones. Figure 3 arranges examples of sound sources in order of their strength and frequency range. First this paper examines how airborne sound insulation can be characterized. Subsequently the importance of airborne sound insulation is disc ussed. Finally the factors that influence airborne sound insulation of windows are explored.